Elling has a wildly overactive imagination and has been molly-coddled by his mother all his life, so when she dies he is left completely incapable of taking care of himself. After a stint in the very helpful Broynes Rehabilitation Centre, Elling returns to Oslo with his room-mate Kjell Bjarne in tow. Together the odd couple embark on a free-spirited new life. On a quest to live like normal average people, Elling and Kjell's friendship grows - kittens, girlfriends and terrorist poetry enter the equation - even fame beckons. But there are fears to conquer before that, answering the telephone for one, leaving the house for another and the journey outdoors is by no means an easy one. 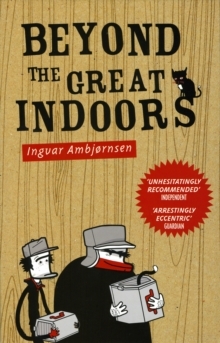 A touching and hiliarious comedy of anxiety from Norway's biggest talent, Beyond the Great Indoors rejoices in the simplest pleasures of life and reminds us of the importance of conquering our everyday fears.